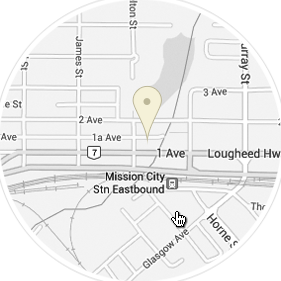 Our studios are located in the historic Masonic Hall at 33219 1st Avenue, Mission, BC. 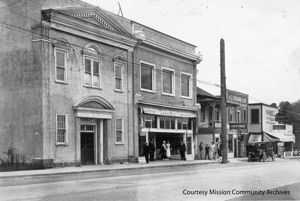 The Masonic Hall, built in 1922, is a renowned landmark in Mission. 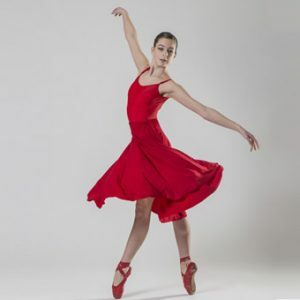 The Masonic Hall houses two of our studios, the two largest dance studios with naturally sprung wooden floors, 14-foot ceilings and 40 feet of mirrors and barres. Accentuated by the classical charm of its original hardwood features, the building also contains the office, changing rooms, dance-wear shop and waiting areas. Our third studio is next door at 33221B 1st Avenue, behind the Gold Bin Jewellers. This bright new space offers large viewing windows from the waiting area to allow parents the option of watching their children in training. All three dance studios are fully air-conditioned. In 2013, the Masonic Hall was sold for the first time in its history. Mr. and Mrs. Carney became its new owners, securing their main building for FVAD students for many years to come.